When you decide to buy or sell a home, you are entering into one of the biggest financial decisions most people ever engage in. A lot of money will be involved and you understandably want to get the best experience you possibly can. This is why you need an exceptional Realtor. You need an advocate who will ensure you get what you need – whether you are buying or selling. Not all Realtors are created equal, though, so it is important to know how to screen them if you want to improve your experience. My name is Bill Gassett. I am a veteran real estate agent in Milford MA and would like to share my expertise on why it is so important to make the right agent selection. Let's answer this question first, because without knowing why you need a Realtor you may hesitate to do the work required to choose a good one. A real estate agent is a professional involved in buying and selling houses. It is this professional-level ability that you are paying for. Consider when you need to repair or upgrade your car. Yes, with the right tools you can spend a weekend – or weekend after weekend – doing the work yourself. It may even turn out great. However, it will also take substantially more time than it would be if you took it to a professional. 1. May I see contact some references? Every agent should have a list of references that you can talk to about his or her work. If you are buying, you probably want to talk to other buyers who have worked with the agent. 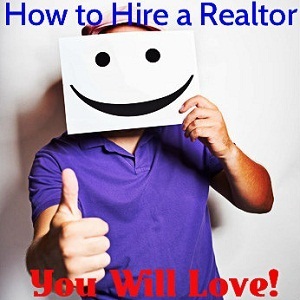 If you are selling, ask for the number of some other clients the agent has sold for. You want to get a good idea of how this person works and how satisfied the clients are. Also, you want to make sure he or she has been working recently. The market changes and you want someone who is successful now. Take a look at some of the absolute best interview questions for real estate agents when you will be selling a home. These are the kind of questions that will help you sort out who should be hired and who shouldn't. These are the type of things an inexperienced agent will clearly be uncomfortable answering. 2. Is the area growing? Declining? There is no perfect answer to this question, but it is important to ask it anyway. You want an agent that is sought after, but not one that is overworked. If the agent has 50 clients he or she is working for that you will probably not get the one-on-one attention you prefer. If the agent only has 5 clients, this may be a part time job for him or her – or the agent is just not well-recommended. Look for a Realtor who has somewhere in between a handful of clients and a number that is probably unreasonable. 5. Can you get me a CMA of the area? A competitive market analysis (CMA), also known as comps, lets you see what homes have recently sold in the area as well as those that are currently for sale. This can give you valuable information in either pricing your home or determining what you should be offering on a property. Depending on what side of the fence you are on this is critical information your Realtor should be providing you. This is important because it lets you know how heavy the workload is of the agent, as well as whether you will be communicating directly with him or her. There are advantages and disadvantages to each. Find out the agent's work style to see if he or she is a good fit. If the agent you are interviewing does work in a team find out if you will be working with someone else as well. If so you will want a handle on this agents qualifications as well. The last thing you want is to be handed off to a junior partner who doesn't have the same skill set as the person you thought you would be working with. You want an agent that takes advantage of all marketing avenues. Not only the more traditional ones like the Multiple Listing Service, but also other avenues like some of the top real estate portals like Zillow, Realtor.com and Trulia. What is important to understand here is that nearly all Realtors use these vehicles but a much smaller percentage will do what is necessary to make your home stand out in these places. For instance you should be demanding vivid photography, well thought out descriptions of your homes best features and even a video tour. The real estate marketing channels are changing all the time. Make sure the agent is up to date on what works and what doesn't. At the moment one of the great things to find out is whether the Realtor is going to be using any social media channels to market your home. Social media is used daily by millions of people. It only makes sense to be in front of some of them! 8. What is wrong with my home? You need someone that will tell it to you straight. Get the scoop on what is undesirable about your home and how the Realtor will work with what you have to get you the best price. The last thing you want is a "yes man". While you might think it is great if you have found a real estate agent who agrees with everything you say that is not the case. You want an agent who is not afraid to put you in your place and answer the tough questions. When you take the time to ask the right questions when interviewing a real estate agent you will have a much more pleasant experience. Best of luck with buying or selling your next home! Great questions. However for #3 you might also add that if an agent has few clients they could very well be just starting out, not as negative sounding as they aren't recommended often or they are working part time. Both could be true but don't leave out the new agent. New agents are motivated, sometimes more than seasoned ones. Great article Bill. I agree with 99.9% of it but since I'm not a "yes man," I take issue with lumping fees for selling with buying. Buyers agents get abused when they work for free and the buyer finds their dream home without them. If you are working with a buyers agent you should work with just one buyers agent who will work hard and diligently on your behalf. There should be a Buyer's Broker agreement. Keeping in mind that buyer's agents are paid by the seller 99.9% of the time. I agree that honesty is key and Realtors should be upfront about what they need to do to get their house sold. Sellers...Listen to your Realtor!